You guys are truly amazing. Despite technical difficulties, you fabulous donors and bidders raised $21,047 for storm relief. We are speechless and excited and flabbergasted and, above all, grateful. My name was on most of the posts, but a lot of great people helped out behind the scenes, and I want to make sure they get the recognition they deserve. Bree, Cleolinda Jones, and Debra Driza, among others, were enormously helpful in soliciting donations. Michelle Schusterman, Kirsten Hubbard, Amanda Hannah, Kody Keplinger, Kristin Halbrook, and Bree were kind enough to help me contact winners and hook them up with their donors. And should I ever have to man a ship, Kaitlin Ward is my first mate, hands down. She is an organizational powerhouse. All 4 Alabama is adopting a rural Alabama community affected by recent storms. 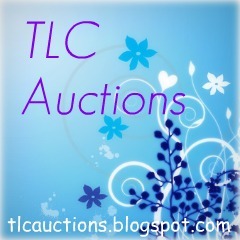 TLC Auctions is supporting an injured father and a 6 year old with leukemia. Happy Like This benefits a family very dear to me: The parents are friends from high school, and their daughters Alex and Emma are both living with a rare terminal disorder. Funds will help them visit Disney one last time. Well, we waited the weekend, and though Blogger assures everyone that comments will be restored soon, as of now, we're still missing some. But we don't want to put these funds on hold forever, because people need them now! SO. We're reopening bids on Days 7, 8, and 9. IF those missing comments reappear before auctions close, they'll count at the end, so keep an eye on your favorite items to make sure you're not outbid by someone from last week! Day 7 will close Monday, May 16, at 10:00 PM Central. Day 8 will close Tuesday, May 17, at 10:00 PM Central. Day 9 will close Wednesday, May 18, at 10:00 PM Central. ETA: Some of our labels are still wonky... we're hoping those will be repaired soon too! First of all, we really appreciate all of you for your donations and your bids! This has been a great auction so far because of all of you. And I think we are all aware of Blogger's giant fail last night through this morning. Because of the problems this caused, and because a lot of comments and all of the posts from Day 9 are still missing, we're going to put the auction on pause until Monday. We're hoping that over the weekend, the rest of the comments and the missing posts will come back up. So any bids from today and any placed over the weekend will be deleted for fairness and to minimize confusion, but as soon as Monday hits, you can start bidding again. Day 7 auctions will close Monday at 10:00 PM Central time rather than tonight. We are so sorry because we know this is a little inconvenient, but we are hoping that this solution will end up creating less work and confusion for everyone. Author Kara Mustafa, intern to agent Elana Roth and represented by agent Suzie Townsend, will critique the first 50 pages of your novel + your query! A critique of the first three chapters of your contemporary middle grade or young adult novel. Agent Sarah LaPolla of Curtis Brown LTD. will donate 1 partial critique (25 pages) with concept notes and line edits when necessary to the highest bidder. The second highest bidder will receive a query critique! In this electrifying debut, Tahereh Mafi presents a world as riveting as The Hunger Games and a superhero story as thrilling as The X-Men. Full of pulse-pounding romance, intoxicating villainy, and high-stakes choices, Shatter Me is a fresh and original dystopian novel—with a paranormal twist—that will leave readers anxiously awaiting its sequel." "This auction is for one written conversation of your choice between Anna Oliphant and Étienne St. Clair, the main characters of my novel ANNA AND THE FRENCH KISS. If you win, you’ll send me a topic, and I’ll write a short scene in which Anna and Étienne muse upon it. The scene will be added as a permanent “Extras” feature on stephanieperkins.com, and I’ll list your name (and link to your website, if you have one) as the dedication. I will also print a copy, sign it, and mail it to you. Your topic must be brief, like “kumquats” or “Dr. Who.” In other words, if you send this idea to me: “Étienne breaks up with Anna to date Michelle Huffernagle, aka me, the winner of this auction,” I will tell you to pick another topic. I will also not write about anything that will spoil the companion novels to ANNA AND THE FRENCH KISS. Your topic idea cannot be “Lola,” “Cricket,” “Isla,” etc. I will be open-minded, but I do reserve the right to refuse any idea that I deem inappropriate and to ask you to select another one. The winner’s scene will be on my website (and the paper copy mailed) within sixty days of settling on the topic. Thanks for bidding, and good luck!" Signed/personalized hardcovers of FALLEN, TORMENT, and the just-about-to-be-released PASSION! For our five top bidders: Project Mayhem team-member will critique either your query or the first 10 pages of your manuscript. Project Mayhem is a group of middle-grade authors and bloggers who love all things middle-grade. You can check us out at http://www.project-middle-grade-mayhem.blogspot.com/. Please note: Only increasing bids count! All have experience critiquing or writing agented work." "A brand new paperback boxed set of The Mortal Instruments series (including City of Bones, City of Ashes, and City of Glass) all signed by Cassandra Clare. City of Ashes is also signed by Elka Cloke, whose poem, 'This Bitter Language,' is featured at the beginning of the book. The set was opened only to get the books signed." Abby and Sarah are both authors in the query trenches who have each critiqued several full-length books. We'll send you three surprise ARCs from the upcoming BEA and ALA conferences! 2 signed collections of poetry and essay by, collected by Katharyn Machan, Professor at Ithaca College. Books include "Redwing: Voices from 1888" and "One For the Road." I’m a YA writer represented by Michelle Wolfson of Wolfson Lit. And I’ll critique the first 10 pages of a manuscript—any genre, though I’m better betaing YA novels and women’s fiction. The critique includes thorough line-by-line comments (sentence structure, grammar, repetitive words, etc) and overall suggestions (characterization, pacing, etc). I would love to critique 20 pages if the bidding goes over $30." "Signed copies of all seven Cooper Justice books, my Harlequin Intrigue series, plus a $50 eGiftcard to Amazon.com." Writer's notebook with one-of-a-kind collaged front and back covers. Vintage stamps, international images, shopping lists from two continents and more. Can customize the subject matter. Signed copy of WAITING FOR AN ARMY TO DIE: The Tragedy of Agent Orange by Fred A. Wilcox. This first edition is no longer available elsewhere!